If there is one thing we are known for in Stoke-on-Trent, it is pottery. I represent the birthplace of Britain’s modern ceramic industry that we have been producing in our city for hundreds of years. They don’t call it the Potteries for nothing. Today, the legacy of those great historic ceramic houses that built our great city – firms like Wedgwood, Minton and Royal Doulton – lives on in great, innovative companies like Steelite, Dudson, Churchill, Port Merion and Johnsons Tiles. This is not just our heritage: it is a living, breathing industry that employs 7,000 people in my constituency alone. Across the country, more than 20,000 people work in the UK ceramics industry and it contributes as much to the British economy as British fishing. But while the challenges of the fishing industry have become a focal point for discussions around post-Brexit trade and legislation, the needs of industries like ceramics, and broader British manufacturing for that matter, have been strangely absent from the debate and from the negotiating table. That has to change. That is why I am calling on my colleagues in parliament to ‘Back the Stamp’ and support my bill to tackle ‘bogus’ backstamping and to protect and promote British manufacturing businesses. Our ceramics industry is the best in the world. Wherever you go, the ‘Made in England’ backstamp is the hallmark of great quality. That reputation is a boon to British manufacturing. Our companies succeed because people trust in the quality of their products. Reputations like that take generations to build, but they can be lost in a heartbeat. So when inferior, foreign made tableware can be passed off as being made in the UK, both businesses and consumers lose out. This ‘bogus’ backstamping, as it is known in the trade, has been a long-running challenge for our ceramics industry, and a threat to our well-earned and world-renowned reputation for quality. That is why the bill I’m presenting today demands that products sold here in the UK will need to have a ‘country of origin’ backstamp so that customers know exactly what they are getting. It will lay out clear guidelines for what constitutes a truly ‘British-made’ tableware product, to put an end to the unscrupulous practice of decorating a cup made in Thailand or China here in the UK and passing it off as a British with a false ‘Made in England’ backstamp. It will also tackle another problem – the fact that many products don’t carry any backstamp at all. Often, these are cheaper, lower quality, foreign made products and people should be able to make an informed choice about what it is that they are buying. People already expect clear labelling on where the food in our supermarkets comes from, why should the plates we eat it off be any different? I’m delighted to have the support of the GMB for this campaign. Their ‘Making It’ campaign has done incredible work to support and recognise British manufacturing, and once again they are the forefront of the fight to defend jobs for thousands of their members in the UK ceramics industry. As we prepare to leave the EU, it is vital that our own national legislation includes the protections we need to ensure a level playing field for British industry. That’s why with the support of the GMB I’ll be asking my colleagues in parliament to Back the Stamp, and give our ceramics industry the protections it needs. Ruth Smeeth is MP for Stoke-on-Trent North and Kidsgrove. 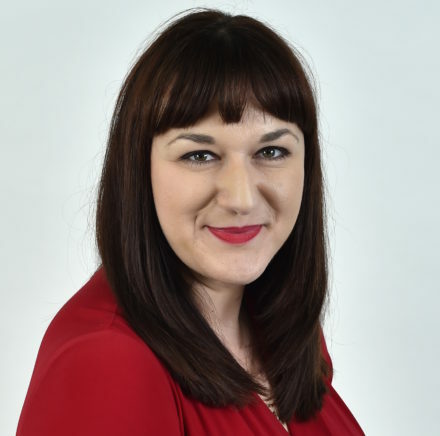 Ruth Smeeth is Labour's Parliamentary candidate for Burton &amp; Uttoxeter. Her PPC Profile can be read here.